My doctor told me I have tendinosis, I’ve heard of tendinitis, what is the difference? Dr. Jimenez considers this dilemma of similar words that cause confusion to patients. 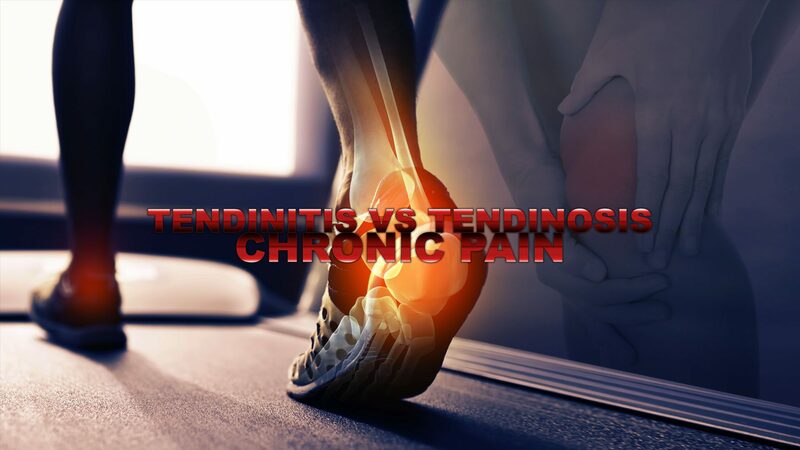 Below is an explanation of clinical presentations and anatomical disorders that shed light on the similarities and differences between tendinosis and tendinitis. Over the past decade, medical research has conclusively shown that the major cause of tendinopathies is not inflammation (aka “itis”), which even a decade ago was nothing new. For decades, the scientific community has been concluding that wile the immune system mediators we collectively refer to as “INFLAMMATION” are probably present in tendinopathies; inflammation itself is rarely the cause. So, if inflammation is not the primary cause of most tendon problems, what is? Follow along as I show you from peer-review, that since the early 1980’s, research has shown the primary culprit in most tendinopathies is something called “osis”. Thus the name, “tendon – osis” (tendinosis). But what the heck is osis? The suffix “osis” indicates that there is a derangement and subsequent deterioration of the collagen fibers that make up the tendon. The truth is, even though doctors still use the term “tendinitis” with their patients, their AMA-mandated Diagnosis Codes almost always indicates the problem is “tendinosis” or “tendinopathy” (HERE). Is this differentiation between tendinitis and tendinosis really that important, or am I splitting hairs and making a big deal out of nothing — making a mountain out of a molehill, semantically speaking? Instead of answering that question myself, I will let two of the world’s preeminent tendon researchers — renowned orthopedic surgeons — answer it for me. “Tendinosis, sometimes called tendinitis, or tendinopathy, is damage to a tendon at a cellular level (the suffix “osis” implies a pathology of chronic degeneration without inflammation). It is thought to be caused by micro-tears in the connective tissue in and around the tendon, leading to an increased number of tendon repair cells. 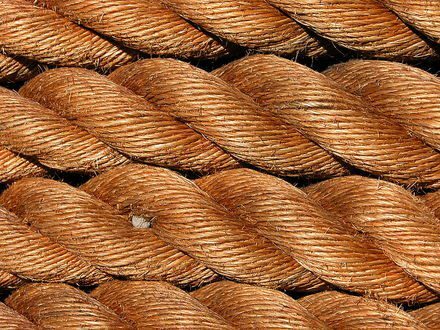 This may lead to reduced tensile strength, thus increasing the chance of repetitive injury or even tendon rupture. Tendinosis is often misdiagnosed as tendinitis due to the limited understanding of tendinopathies by the medical community.” Tendon researcher and orthopedic surgeon, Dr. GA Murrell from a piece called, “Understanding Tendinopathies” in the December 2002 issue of The British Journal of Sports Medicine. “Tendinitis such as that of the Achilles, lateral elbow, and rotator cuff tendons is a common presentation to family practitioners and various medical specialists.1 Most currently practicing general practitioners were taught, and many still believe, that patients who present with overuse tendinitis have a largely inflammatory condition and will benefit from anti-inflammatory medication. Unfortunately this dogma is deeply entrenched. 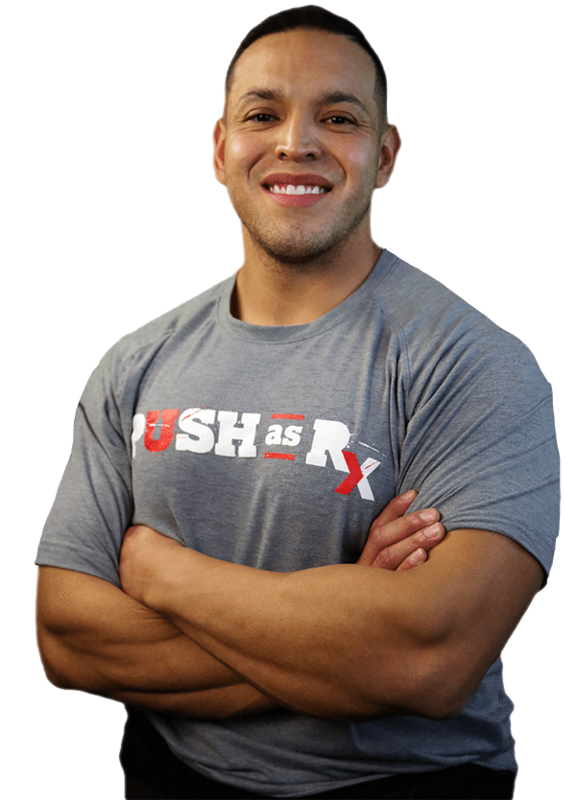 Ten of 11 readily available sports medicine texts specifically recommend non-steroidal anti-inflammatory drugs for treating painful conditions like Achilles and patellar tendinitis despite the lack of a biological rationale or clinical evidence for this approach. Instead of adhering to the myths above, physicians should acknowledge that painful overuse tendon conditions have a non-inflammatory pathology.” Karim Khan, MD, PhD, FACSP, FACSM, and his group of researchers at the Department of Family Medicine & School of Human Kinetics at the University of British Columbia, from the March 2002 edition of the BMJ (British Medical Journal). The information in the preceding paragraphs (which was not new when they were published over a decade and a half ago) is so important as to be considered revolutionary for those of you who have spent time on the MEDICAL MERRY-GO-ROUND with tendon problems. Why? Because, as stated by Dr. Murrell above, most medical professionals have, “a limited understanding of tendinopathies”. Why is this? Why do more doctors not grasp what is going on with the majority of Tendinopathies? Why does such a big portion of the medical community continue to ignore their own profession’s scientific conclusions, while continuing to treat tendinopathies with drugs and surgery? Of course there’s always the issue of money. There is also the fact that if you have tendon problems, you are probably being treated using a model that is at least 25-30 years behind the times as far as the medical research is concerned (HERE). If you think I’m being harsh, read what Dr. Warren Hammer, a board certified Chiropractic Orthopedist in practice since the late 1950′s, had to say about Tendinosis in a 1992 issue of Dynamic Chiropractic. If your doctor is still treating you for tendinitis and not tendinosis, they are caught in a time warp. 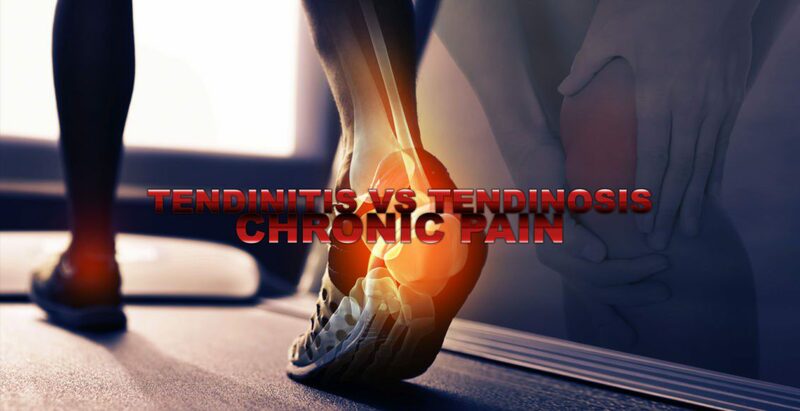 According to what the American Academy of Orthopedic Surgeons said over two and a half decades ago, tendinosis is not an inflammatory condition (itis)! It is a degenerative condition (osis)! Not only is there some debate over whether or not tendinitis actually exists at all, but as you will see in a moment, the anti-inflammation medications and corticosteroid injections that your doctor has been prescribing you are actually creating more degeneration. Track & Field athletes make it a point to keep up with the cutting edge diagnosis and treatment of tendinous SPORTS INJURIES. See what their official medical team has to say on the subject of Tendinosis and Tendinopathy……..
“Tendinosis is a medical term used to describe the tearing and progressive degradation of a tendon. Tendons are structural components of the human body that ensure muscles remain bound to the correct bone during normal daily activities. Tendinosis differs from tendonitis in that the affected tendon is not inflamed.” Rachel Amhed from a July 2010 article for Lance Armstrong’s ‘Livestrong Website’ called Tendinosis Symptoms. “Based on the information of various lines of investigation of tendinopathy, we can summarize some major points which must be considered in the formulation of a unified theory of pathogenesis in our model of tendinopathy….. The primary results of pathology are the progressive collagenolytic [Collagen-Destroying] injuries co-existing with a failed healing response, thus both degenerative changes and active healing are observed in the pathological tissues….. These pathological tissues may aggravate the nociceptive responses [PAIN] by various pathways which are no longer responsive to conventional treatment such as inhibition of prostaglandin synthesis [NSAIDS & Cortcosteroids]; otherwise the insidious mechanical deterioration without pain may render increased risk of tendon rupture. For example, overuse is a major etiological factor but there are tendinopathy patients without obvious history of repetitive injuries. It is possible that non-overuse tendon injuries may also be exposed to risk factors for failed healing. Overuse induces collagenolytic [DEGENERATIVE] tendon injuries and it also imposes repetitive mechanical strain which may be unfavorable for normal healing. Stress-deprivation also induces MMP expression [Matrix Metallo Proteinase — an enzyme which breaks down Connective Tissues], and whether over- or under-stimulation is still an active debate. It is possible that tenocytes [tendon cells] are responsive to both over- and under-stimulation, both tensile and compressive loading….. By proposing a process of failed healing to translate tendon injuries into tendinopathy, other extrinsic and intrinsic factors would probably enter the play at this stage, such as genetic predisposition, age, xenobiotics (NSAIDs and corticosteroids) and mechanical loading on the tendons….. Classical characteristics of “tendinosis” include degenerative changes in the collagenous matrix, hypercellularity, hypervascularity and a lack of inflammatory cells which has challenged the original misnomer “tendinitis”.” Cherry-picked quotes from a comprehensive collaboration by teams from the Department of Orthopaedics & Traumatology at Prince of Wales Hospital, The Chinese University of Hong Kong, and the Department of Orthopaedic Surgery at Huddinge University Hospital in Stockholm. The study was published in a 2010 issue of Sports Medicine Arthroscopy & Rehabilitation Therapy Technology. “Rotator Cuff Tendinosis is a degenerative (genetic, age or activity related) change that occurs in our rotator cuff tendons over time. Rotator cuff tendinosis is exceptionally common. Many, many people have tendinosis of the rotator cuff and do not even know it. Why rotator cuff tendinosis bothers some people and doesn’t bothers others is currently a question the orthopedic surgery community can not answer. Rotator cuff tendinosis is just as likely to be found in a professional body builder as it is likely to be found in a true couch potato.” From an August 2011 online article / newsletter by Dr. Howard Luks, an Orthopedic Surgeon and Associate Professor of Orthopedic Surgery at New York Medical College as well as being Chief of Sports Medicine and Arthroscopy at Westchester Medical Center. “The gross pathology of Angiofibroblastic Tendinosis is [that] there are no inflammatory cells in this tissue. Therefore the term “Tendinosis” is much better [than Tendinitis]. The pathological tissue is instead characterized by very immature tissue and nonfunctional vascular elements.” Loosely quoted from a YouTube video of famed tendon researcher / surgeon Dr. Robert P. Nirschl’s (Nirchl Orthopedics) presentation to the American Academy of Orthopedic Surgeons annual meeting (2012). “The more commonly used term of tendinitis has since been proven to be a misnomer for several reasons. The first of which is that there is a lack of inflammatory cells in conditions that were typically called a tendonitis…. The other two findings present in tendinosis, increased cellularity and neovascularization has been termed angiofribroblastic hyperplasia by Nirschl…… These are cells that represent a degenerative condition. Neovascularization [the creation of abnormally large numbers of new blood vessels] found in tendinosis has been described as a haphazard arrangement of new blood vessels, and Kraushaar et al. even mention that the vascular structures do not function as blood vessels. 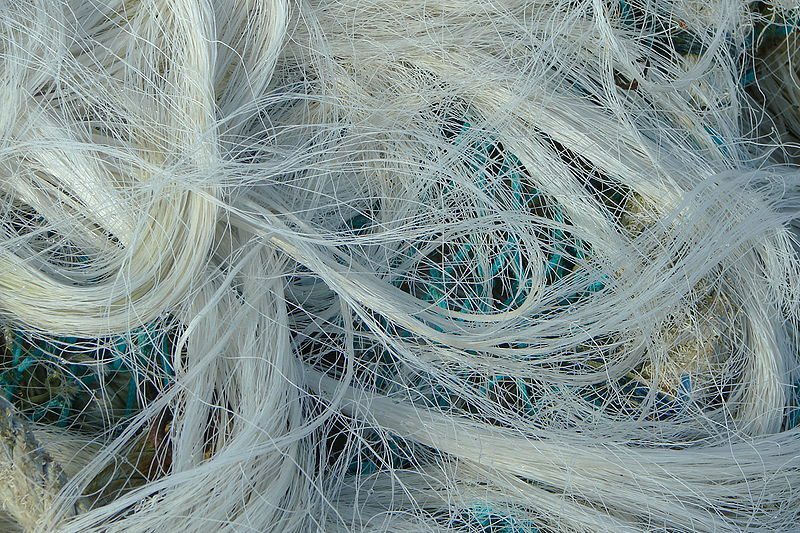 Vessels have even been found to form perpendicular to the orientation of the collagen fibers. They then concluded that the increased vascularity present in tendinosis is not associated with increased healing. Take Home Points: Chronic tendon injuries are degenerative in nature and NOT inflammatory. Anti-inflammatory medications (NSAIDs) and/or corticosteroid injections can actually accelerate the degenerative process and make the tendon more susceptible to further injury, longer recovery time and may increase likelihood of rupture.” Quotes cherry-picked from a recent online article called ‘Tendonosis vs. Tendonitis’ by Dr. Murray Heber, DC, BSc(Kin), CSCS, CCSS(C), Head Chiropractor for Canada’s Bobsleigh / Skeleton Team. 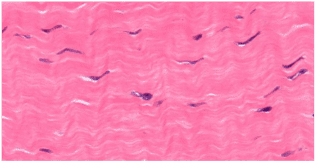 “The data clearly indicates that painful, overuse tendon injury is due to tendinosis—the histologic entity of collagen disarray, increased ground substance, neovascularization, and increased prominence of myofibroblasts. [It is] the only clinically relevant chronic tendon lesion, although minor histopathologic variations may exist in different anatomical sites. The finding that the clinical tendon conditions in sportspeople are due to tendinosis is not new. Writing about the tendinopathies in 1986, Perugia et al noted the ‘remarkable discrepancy between the terminology generally adopted for these conditions (which are obviously inflammatory because the ending ‘‘-itis’’ is used) and their histopathologic substratum, which is largely degenerative” Dr. Khan once more showing that tendon problems are not caused by inflammation. “Overuse tendinopathies are common in primary care. Numerous investigators worldwide have shown that the pathology underlying these conditions is tendinosis or collagen degeneration. This applies equally in the Achilles, patellar, medial and lateral elbow, and rotator cuff tendons. If physicians acknowledge that overuse tendinopathies are due to tendinosis, as distinct from tendinitis, they must modify patient management in at least eight areas.” Dr. Karim Kahn M.D / Ph.D and his research team from University of British Columbia’s School of Kinesiology in an article published in the May 2000 issue of The Physician and Sportsmedicine called “Overuse Tendinosis, Not Tendinitis”. The truth is that I could go on and on and on and on with quotes from similar studies. Hopefully you get the point! You should be starting to see that most of what you thought about chronic tendon problems needs to be flushed down the toilet or thrown out with the weekly trash. That’s because there’s a new model in town. Tendinosis is it’s name; and if you want any hope of a solution to your tendon problem, you will have to step outside of the medical “box” and start thinking of your problem in terms of “osis” instead of “itis”. Failure to grasp the new model leaves you vulnerable to treatments which, while possibly bringing some temporary relief, will ultimately make you worse — possibly much worse! By the way, the following points are observations that you yourself will understand if you read the above quotes. Tendinosis is a Degenerative Condition without inflammation. Scratch that. Science has recently shown us that there is inflammation in tendinosis — there should be, at least in the initial phase of healing. However, it’s the SYSTEMIC INFLAMMATION that’s been shown to be the biggest problem. Bottom line, this doesn’t really affect anything I’m telling you in this post, other than to reinforce your need to address systemic inflammation (hint: it can’t be done with drugs). Traditional Therapies / Interventions for Tendinopathies significantly increase one’s chance of Tendon Rupture. Drugs; particularly NSAIDS & CORTICOSTEROIDS, as well as CERTAIN ANTIBIOTICS actually cause Tendinosis — and Tendon Rupture. They also slow down (or reverse) the healing process. Corticosteroid Injections are even worse. Medicine’s dirty little secret of treating connective tissue injuries with steroids is that they actually deteriorate or ‘eat’ the collagen foundation. This is why they deteriorate ever tissue in the joint, including bone. This is bad news considering collagen is the tissue that is deranged — the very tissue that needs to heal the most. This is why corticosteroids are a known cause of DEGENERATIVE ARTHRITIS and OSTEOPOROSIS, not to mention a whole host of easily-verified systemic side effects. The fact that steroid injections are ridiculously degenerative is why doctors ration or limit the number of steroid injections a person can receive — even if they seem to be working. And understand; it’s not that drugs don’t sometimes do what they claim to do. It’s that they never reverse the underlying pathophysiology (HERE). They simply cover symptoms. With tendinopathies (whether TRAUMATIC OR REPETITIVE — yes, trauma can cause tendinosis), the tissue uniformity becomes disrupted and unorganized, causing restriction and a severe loss of function. This in turn causes a loss of flexibility, tissue weakness, tissue fraying, increased rigidity, and stiffness (sort of like KNOTTED HAIR OR A HAIRBALL — or gristle in a bite of steak). This leads to a loss of strength and function, which ultimately means that you end up with pain and dysfunction of the affected joint or body part. As I will soon show you, loss of normal function is one of just a few known causes of joint degeneration. This is why anyone who has suffered through Chronic Tendinosis knows how debilitating it can really be. COLLAGEN is a wavy protein. The waves are what give it the ability to stretch and elast. And although Tendons are said to be the least flexible and stretchy of the Elastic, Collagen-Based Connective Tissues (Muscles, Ligaments, & Fascia are all more elastic), they have to have at least a bit of give. The waves in the individual collagen fibers are what allow for this stretching to take place. 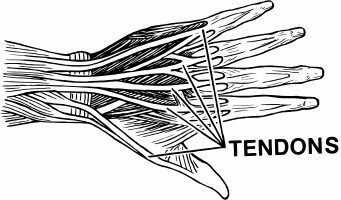 Tendinosis occurs most often where the muscle meets the tendon. This is due to an especially dense amount of Collagen at this “Transition Zone”. Sometimes Tendionosis is clinically impossible to distinguish from FASCIAL ADHESIONS and microscopic scar tissue. Often times they are present together. The bottom line is that whether the adhesions are in fascia or whether they are tendon DOESN’T REALLY MATTER — they must both be broken. Sometimes there is a great excess of calcium built up at the point where the tendon anchors to the bone. This must be broken up as well. Because the models for understanding various soft tissues are virtually identical; the models for treating said tissues are likewise very similar. As you might imagine, this is fantastic news for the patient. Bear in mind that I have not included each and every specific area you can develop tendinopathy because it can attack anywhere that you have a tendon. The following list happens to be the areas that I treat most frequently in my clinic. THUMB TENDINOSIS / DeQUERVAIN’S SYNDROME: This extremely common problem can be debilitating. You will frequently hear Thumb Tendinosis referred to as DeQuervain’s Syndrome. HIP FLEXOR TENDINOSIS: Hip Flexor Tendinosis will manifest in the upper front thigh or groin area. This is incredibly common in athletes — particularly soccer players. There is a significant portion of the tendinosis-suffering population who have tried all of these things. Every type of pill imaginable, including ANTIBIOTICS (believe it or not, I have seen this used numerous times — some of which, like CIPRO, actually cause tendon weakness and rupture), TENS Units, braces & supports of all kinds, PLATELET INJECTION THERAPY, high powered ultrasound (a form of litho-tripsy called arthro-tripsy), prolotherapy (sugar water injections), all sorts of surgeries, and heaven only knows what else. And this doesn’t even start touching on many of the common drugs, which I’ve already dealt with. If tendinopathies do not show up well with the diagnostic tests that are commonly run by your doctor, how in the world can a chiropractor practicing in tiny town determine whether or not this micro-derangement of a tendon’s collagen fibers is present and potentially causing your pain and dysfunction? I use one of the newer forms of SCAR TISSUE REMODELING. 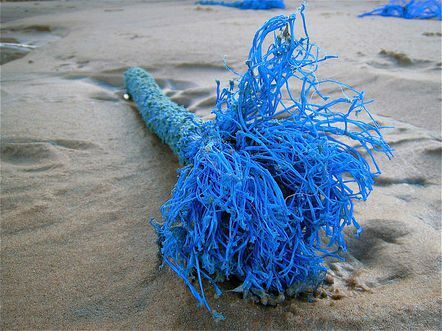 Although this has only been around for three decades in its present form, the Chinese have used something similar for several thousand years. Be aware that breaking these adhesions / restrictions sometimes causes some BRUISING, depending on where it’s at. If it is not caused by Fluoroquinolone Antibiotics, very frequently, this underlying problem turns out to be some sort of poorly understood or difficult-to-detect AUTOIMMUNE DISEASE. If for whatever reason, your body is making antibodies to attack it’s own tendons or connective tissues, you have a serious problem on your hands — a problem that will not respond to the Scar Tissue Remodeling Treatments that I do, and a problem whose cause likely won’t show up on standard medical tests.